Sagitta are delighted to present this fully loaded Mini Cooper S Convertible in Metallic Grey and Black Bonnet Stripes with Part Leather Interior. It has the Chilli Pack, John Cooper Works Kit, 17" Alloys,REAR ENTERTAINMENT, Harmon Kardon Sound System, Full Screen Satellite Navigation, Reverse Camera, Parking Sensors, Air Conditioning, Heated Seats, DAB Radio, Bluetooth, Heads Up Display, Keyless Start, Start/Stop Ignition, Hill Assist, Radio with 4 Line Display, Cruise Control, Leather Sports Steering Wheel, Revolution Counter, Auto Headlight with Rain Sensor and Servotronic Steering. 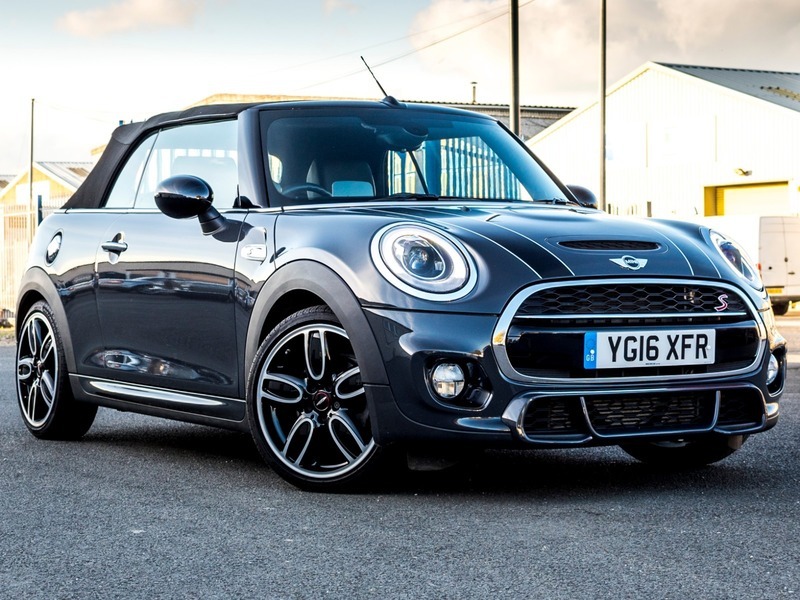 This Mini has the remainder of the manufacturers warranty until May 2019.